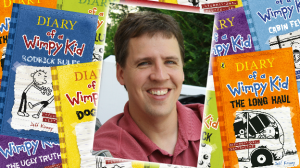 The Diary of a Wimpy Kid books, written by Jeff Kinney, have sold more than 150 million copies around the world. Based on character Greg Heffley, the books follow him through his life at school and on adventures with his friends and family. 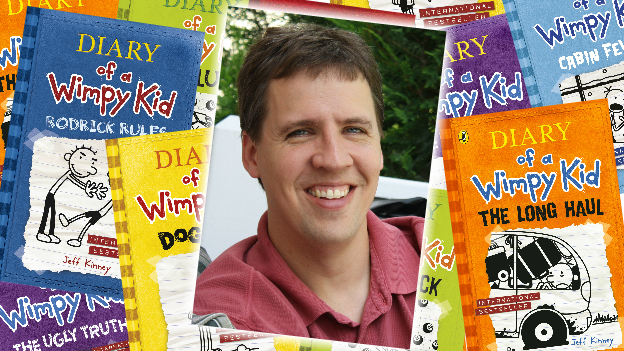 Jeff first came up with the idea for Diary of a Wimpy Kid in 1998 but it wasn't until six years later, that it was first published online. Now Jeff has just released his ninth book in the series called The Long Haul and will be speaking to Newsround this week. We want you to send us your questions for Jeff and we'll ask him as many as we can. Maybe you want to know how he comes up with ideas for the books or perhaps you want to know why he wanted to become an author. Whatever you'd like to ask him, get in touch and let us know.